Coronary artery bypass is not a permanent cure for heart disease. It is a relief measure which gives the person some time to change his/her lifestyle. If lifestyle changes are not made, the blood vessel (artery or vein) which has been used for bypass will also close-up like the coronary arteries. No single cause has been established though there are a number of risk factors which play a role in the development of heart disease. While most of the risk factors are under our control, some are not. Risk factors that we cannot control are age - risk increases with age; gender - men have a greater risk; heredity - children of parents with heart disease are at higher risk. Risk factors that we can control are obesity, high blood pressure, diabetes, high cholesterol, high triglycerides, exercise, stress and smoking. The greater the number of risk factors in a person, the higher the chance of him/her developing heart disease. Out of the eight risk factors which we can control, you might notice that the first five are related to the food we take. Therefore, it is important to give more attention to what we eat everyday. Some studies have shown that Indians as a race are more susceptible to heart disease. Central obesity (long waistline), high triglycerides and diabetes are the common risk factors found in Indians. Presence of uncontrolled risk factors for a long time eventually leads to a coronary artery bypass due to narrowing of the coronary arteries. In most cases, the hospital dietitian gives guidelines about food to be eaten after discharge. Some changes in food habits might have to be for a lifetime. Sometime ago, there were reports that alcohol in small quantities protects against heart disease. Then there were reports to say that alcohol, not in any form, but in red wine is protective. Now there is a study which says it is the grape juice in red wine, not the alcohol, which is protective. The study says that flavanoids (antioxidant) found in the skins, stems and seeds of grapes and present in wine processing, are responsible for the reduced stickiness of blood platelets. Prevention or control of heart disease is a lifestyle approach and not found in any single food or drug. A good nutrition program, daily exercise (yoga and walking have been found to be effective) done under expert guidance, reduction in stress and avoiding smoking are the four major factors in prevention or control of heart disease. 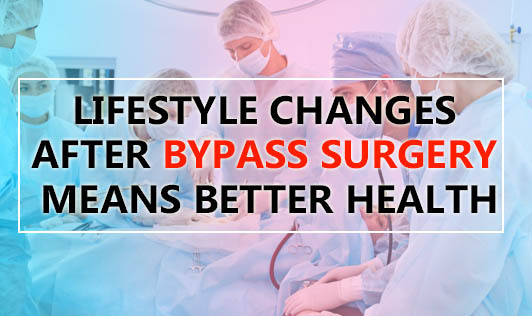 If you have had a bypass surgery, don't take your body for granted! It is never too late to change, if the change means better health. Eat a very low fat diet. Avoid fried foods, bakery foods, processed foods and anything that is high in fat. Oil intake should be kept to about 2 teaspoons per day. Beware of sweets and desserts. They can also have a lot of fat. Keep away from high cholesterol foods. Meats, egg yolk, cheese, ice cream, butter, etc. contain cholesterol. If you use milk, curd or buttermilk, avoid the cream. Eat plenty and all varieties of fresh vegetables and fruits. Use whole grains cereals. Restrict the use of refined cereals like maida and maida products. Restrict the use of coffee and tea.